Reminder: the Candian province of Ontario now consists four RAC sections: Ontario North (ONN), Ontario South (ONS), Ontario East (ONE) and the Greater Toronto Area (GTA). Make sure your contest logging software and "country" (CTY) files have been updated so that those abbreviations are recognized and credited properly. View a map of the VE3 sections. As the answering station, it is not necessary to send the CQing station's call unless you feel there might be some confusion about what station you are responding to. Logs are due within SEVEN (7) days after the event is over. Paper logs are still accepted, but electronic Cabrillo logs are preferred. Contest clubs are encouraged to help their club members submit their log electronically. Logs that have been submitted electronically are listed on the Log Received page. Click the year and contest to see a list of submitted logs sorted by call sign. CW: First full weekend in November (November 2-4, 2019). Phone: Third full weekend in November (November 16-18, 2019). Contest Period: Begins 2100 UTC Saturday and runs through 0259 UTC Monday. 160, 80, 40, 20, 15 and 10 meters. No contest QSOs may be made on 12, 17, 30 or 60 meters. CW deadline is 0259 UTC November 11, 2019. Phone deadline is 0259 UTC November 25, 2019. Submit your log online or by mail! Be sure to mail your Summary Form and Log Sheets (include a dupe sheet if over 500 QSOs). Mail to meet submission deadlines. ARRL - CW Sweepstakes Contest, 225 Main St, Newington, CT 06111. 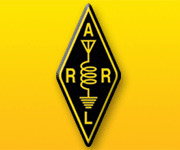 ARRL - SSB Sweepstakes Contest, 225 Main St, Newington, CT 06111. If submitting a paper log, it is strongly suggested you use a delivery method that offers a tracking number. All stations may operate no more than 24 of the 30 hours. Scores will be calculated from contacts logged during the first 24 hours of operation. Clarification: the intent of this rule is to limit operating time (listening or transmitting) to 24 hours. Contacts logged after 24 hours of operation will not be counted toward the final score, there is no penalty for including those contacts in a submitted log, and the station contacted is eligible to receive credit for the contact. Off-times must consist of a minimum of 30 consecutive minutes without operating. Listening time counts as operating time. All Overall and Divisional winners will be awarded a plaque recognizing their efforts. Plaques are either sponsored by individual, groups or clubs, or by the principal awards sponsor, Icom America. Participation pins and Clean Sweep coffee mugs are available for purchase from the ARRL by qualifying stations. See the complete rules for details. Submit online bor by mail! All of Northwest Ontario, including Manitoulin Island, Northeastern Manitoulin and the Islands, Killarney, the cities of Greater Sudbury and North Bay and Nipissing District. Algonquin Park, Renfrew, Hastings, Prince Edward, Haliburton, Peterborough and Northhumberland Counties, and the cities and counties to the east. The City of Toronto and the Regions of Halton (including the City of Burlington), Peel, York and Durham. Parry Sound District, the counties of Simcoe, Grey, Bruce, Dufferin, Wellington, the City of Hamilton, the Region of Niagara and the remainder of Southwestern Ontario. Commemorate working your “clean sweep” by purchasing your November Sweepstakes mug. To earn your mug, work all 83 ARRL/RAC sections during the CW or Phone November Sweepstakes. Mug awards are based on claimed scores. The price for the keepsake mug is $15 each, which includes all postage and handling charges to deliver your mug to you. If you submit an electronic log, please send a paper copy of the first page of your Cabrillo file and indicate how many mugs you are ordering along with your check made payable to "ARRL Contest Pins/Mugs". If you log by paper, attach a note to the top of your summary sheet indicating how many mugs you are ordering and your check. All orders should be sent to Clean Sweep Mugs, ARRL Contest Branch, 225 Main Street. Newington, CT 06111. Your mug will be shipped after all entries and mug orders have been processed and verified (approximately April 2019). Supplies are limited. Orders for Clean Sweeps mugs must be received no later than January 31, 2019. Q: Why does it take so long to send me my mug? A: We only order mugs once we know how many orders we need to fill. This helps us keep our costs down and eliminates inventory problems - either too many or too few mugs. As a non-profit organization, keeping our costs down is critical. Anyone who completes 100 contacts on CW or Phone during Sweepstakes is eligible to purchase an attractive Participation Pin. Each pin includes the year and mode and has become a popular tradition in the November Sweepstakes event. Pins are based on claimed scores. Pins cost $8, which includes all postage and handling charges to deliver your pin to you. Order your Pin(s) by January 31, 2018. Be sure to tell us whether you are requesting a CW, or Phone, or both pins where you qualify. Pins will be shipped after all entries have been processed and logs verified (approximately April 2019). To order your pins, attach a note to the front of your summary sheet indicating the number and type (CW or SSB) of pins ordered along with your check made payable to "ARRL Contest Pins/Mugs". If you enter electronically, send a copy of your summary sheet with a note and your check attached to Sweepstakes PINS, ARRL Contest Branch, 225 Main St, Newington, CT 06111. Q: Why does it take so long to send me my pin? A: We only order pins once we know how many orders we need to fill. This helps us keep our costs down and eliminates inventory problems - either too many or too few pins. As a non-profit organization, keeping our costs down is critical. 1. Contest Object: For stations in the United States and Canada (including territories and possessions) to exchange QSO information with as many other US and Canadian stations as possible on 160, 80, 40, 20, 15 and 10 meter bands. 2.1. CW: First full weekend in November (November 2-4, 2019). 2.3. Contest Period: Begins 2100 UTC Saturday and runs through 0259 UTC Monday. 2.4. Scores will be calculated from contacts logged during the first 24 hours of operation. Clarification: the intent of this rule is to limit operating time (listening or transmitting) to 24 hours. Contacts logged after 24 hours of operation will not be counted toward the final score, there is no penalty for including those contacts in a submitted log, and the station contacted is eligible to receive credit for the contact. 2.5. Off periods may not be less than 30 minutes in length. 2.6. Times off and on must be clearly noted in paper logs. In electronically-submitted Cabrillo logs, off-times are calculated by the log-checking software. 2.7. Listening time counts as operating time. 3.1.1. QRP. Transmit with 5 watts or less. Spotting assistance & Skimmer use is NOT permitted. 3.1.2. Low Power. Transmit with 150 watts or less. Spotting assistance & Skimmer use is NOT permitted. 3.1.3. High Power. Transmit with 1500 watts or less. Spotting assistance & Skimmer use is NOT permitted. 3.2.1. Low Power— Transmit with 150 watts or less. Spotting assistance and Skimmer use is allowed. 3.3.1. Low Power - Transmit with 150 watts or less. Spotting assistance and Skimmer use is allowed. 3.3.2. High Power - Transmit with 1500 watts or less. Spotting assistance and Skimmer use is allowed. 3.3.3. Multioperator entries may have only 1 transmitted signal on the air at any given time; alternating CQs on two or more frequencies using the same band and mode is prohibited. 3.3.4. Multioperator stations have no limitations on band changes. 3.3.5. There is no Multioperator, Two Transmitter or Multioperator, Multi-Transmitter category. 3.4.1. There are three divisions to this category. 3.4.2. School clubs compete as their own category. 3.4.3. Only currently enrolled regular students and faculty/staff of the institution are eligible to operate a school club entry. As of 2010, Alumni may participate on the air with students. It is not, however, in the spirit of the category for Alumni exclusively to use the club station. Alumni should make every effort to continue in an Elmer role to current student club members. 3.4.4. There is no distinction between Single and Multi operator stations or power levels in the School Club category. 3.4.5. School clubs must operate from established stations located on the campus. No portable operation from a near-by contest station is allowed. A club may operate from a member’s station only if no on-campus station exists. 3.4.6. Certificates will be awarded to the top scoring entry in each division of this category in each ARRL/RAC section and division. 3.4.7. Spotting assistance and Skimmer use is allowed. 4.4.1. The last 2 digits of the year of first license for either the operator or the station. 4.4.2. An entry must send the same Check throughout the entire contest. 5.1. QSO points: Count two points for each complete two-way QSO. 5.2. Multiplier: Each ARRL Section and RAC Section plus the Canadian NT (Northern Territories - encompassing VE8 / VY1 / VY0) with a maximum number of 83. 5.2.1. KP3, KP4 and KP5 are in the Puerto Rico Section. 5.2.2. KV4(*) / KP2, KG4 and KP1 stations are in the Virgin Islands Section. (* = KV4 calls issued by FCC prior to 1978 were assigned to the US Virgin Islands - FCC has since begun issuing KV4xx calls systematically to the mainland 4th call area). 5.2.3. KH6 and other US possessions in the Pacific count as the Pacific Section. 5.3. Final score: Multiply QSO points (two per QSO) by the number of ARRL/RAC sections (plus NT VE8/VY1/VY0). 6.1. Work each station only once, regardless of band. 6.2. For all entry categories, only one transmitted signal is permitted at any time; alternating CQs on two or more frequencies using the same band and mode is prohibited. 7.1. Certificates will be awarded to the top operator CW and Phone scores in each category in each ARRL/RAC Section and Division. 7.2. All Overall and Divisional winners will be awarded a plaque recognizing their efforts. Plaques are either sponsored by groups of clubs or by the principal awards sponsor, Icom. 8.1. All logs must be submitted within SEVEN (7) days of the end of the contest. Entries submitted via web app or postmarked after the deadline may be designated checklogs. While the ARRL will never refuse a paper log, Cabrillo-formatted electronic logs are strongly encouraged. 8.1.1. Deadline for submission of CW entries is November 11, 2019. 8.1.2. Deadline for submission of Phone entries is November 25, 2019. 8.1.3. The CW and Phone modes are considered separate contests and must be submitted separately to meet the deadlines. 8.2. All paper log entries must include the official summary sheet as well as all required sent and received contest exchange information for each QSO. Paper logs that do not include these items will not be processed. 8.3. Paper logs may be converted by the entrant to Cabrillo-formatted logs by logging onto this special web page and manually entering the QSO data and completing the required information. 8.4. Any entry that has been created using a computer for logging must be submitted in the Cabrillo log file format. 8.4.1. Files from word processing, spreadsheet programs or “bin” type logging program files are not valid or usable. 8.4.2. Any electronic file that is not submitted in required format will not be eligible for competition and awards. 8.4.3. A paper printout for a log that has been generated by a computer in lieu of the actual data file in the required format is not an acceptable substitute. 8.5. Hand-written paper logs are acceptable entries. Any hand written paper log of 500 or more QSOs must include the required dupe sheet. 8.6. Logs sent via the regular mail service must be addressed to: November SS CW or November SS Phone, ARRL, 225 Main St, Newington, CT 06111. If submitting a paper log, it is strongly suggested you use a delivery method that offers a tracking number. 9.2. All contest queries should be directed to contests@arrl.org or 860-594-0232. How did you do in this year's November Sweepstakes? Tell us your story! Get on the air using the W1AW call sign at the Hiram Percy Maxim memorial station!